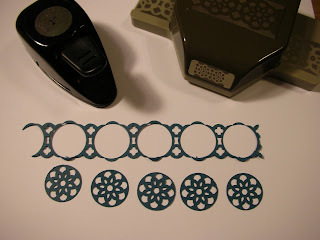 It's Technique Tuesday and I've got something really cool for you today. 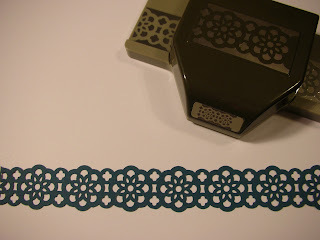 I am not actually showing you a technique; I am showing you several looks that you can get using your Lace Ribbon Border punch. There's nothing better than finding out more ways of using our crafting tools, is there? Here's the border that you create using the Lace Ribbon Border punch but you can get so much more by just adding a couple of other punches! Using the 3/4" Circle punch, you can change the look of the border and also end up with some pretty flowers for using on your projects. 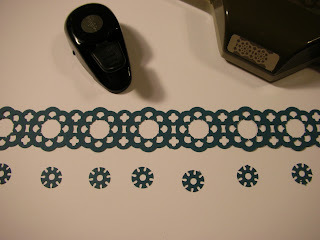 Using the 1" Circle punch - and a steady hand - you can create this border and also the larger circles. You have to be very careful that you are in the exact center since the edge is very small. Using the 1/2" Circle punch, you can get this look and these funky flowers for your projects. 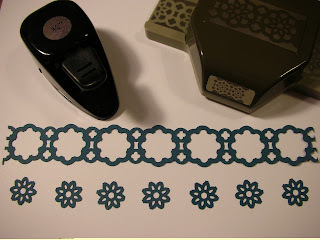 Finally, you can incorporate the the flowers you made with the 3/4" circle punch with the border you created with the 1" circle punch to get this look. You didn't realize that you could get so many looks out of one punch, did you? So what's stopping you? Click on my "Shop Now" button and order your Lace Ribbon Border punch today! Cathy, this is FANTASTIC! Thanks for sharing your ideas; love being able to get great mileage out of my punches. 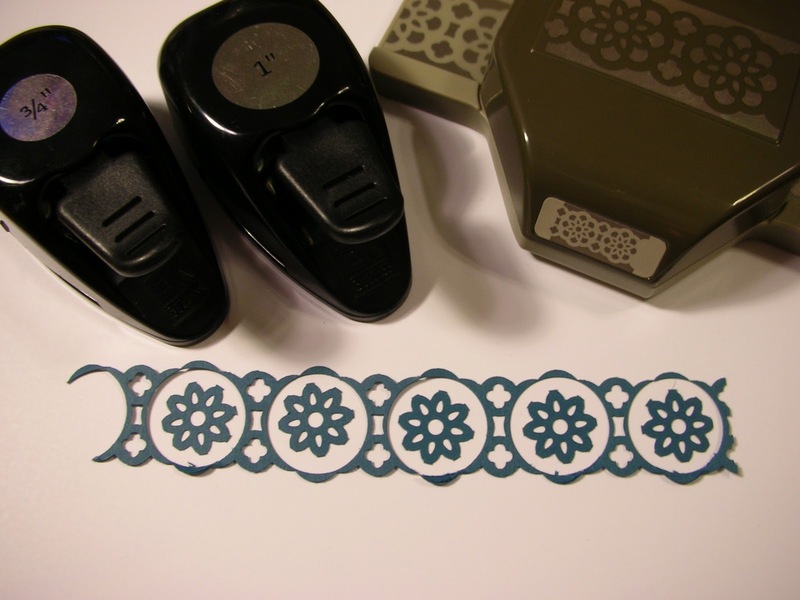 Cathy, great idea! Thank you for sharing.